These are about as good as you can get. 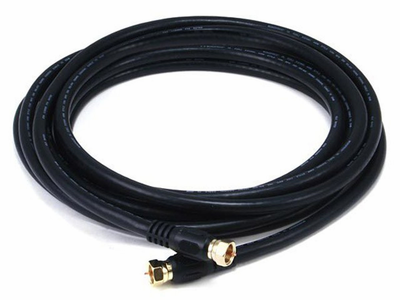 These are the Premium RG6 Coax Cables, 18AWG Center, CL2 Rated for In-Wall installations, Quad Shielding and Gold Plated ends. What more could you possibly need? Oh, and they are available in 9 sizes from 18 Inches to 100 Feet, both Black and White.